'Lone Dove' warming self in sun on Cape Ann MA ~ It is rather chilly. 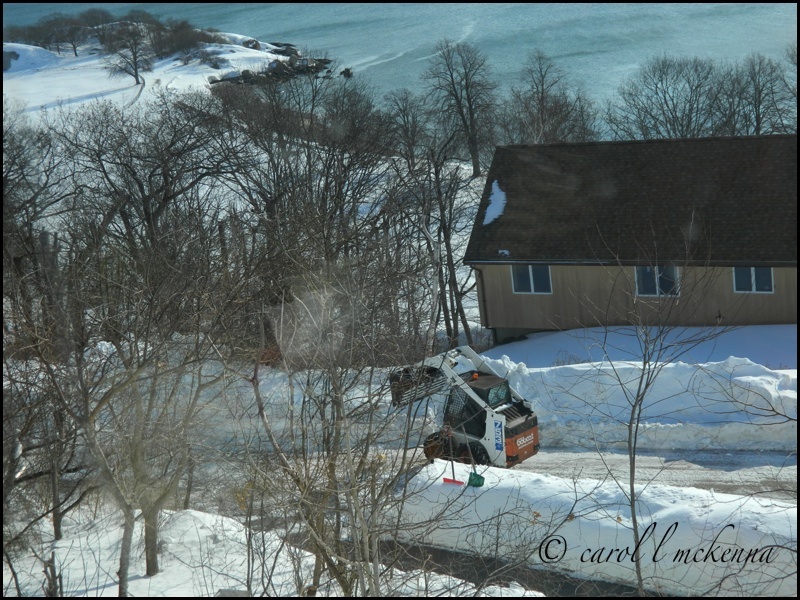 Snowed in Cape Ann MA ~ Scenic to me ~ Had to hire a Bobcat ~ a different type of 'critter' to widen the path in order for fuel truck to get up the driveway. Muse Dog with her new 'do' doesn't she look cute? 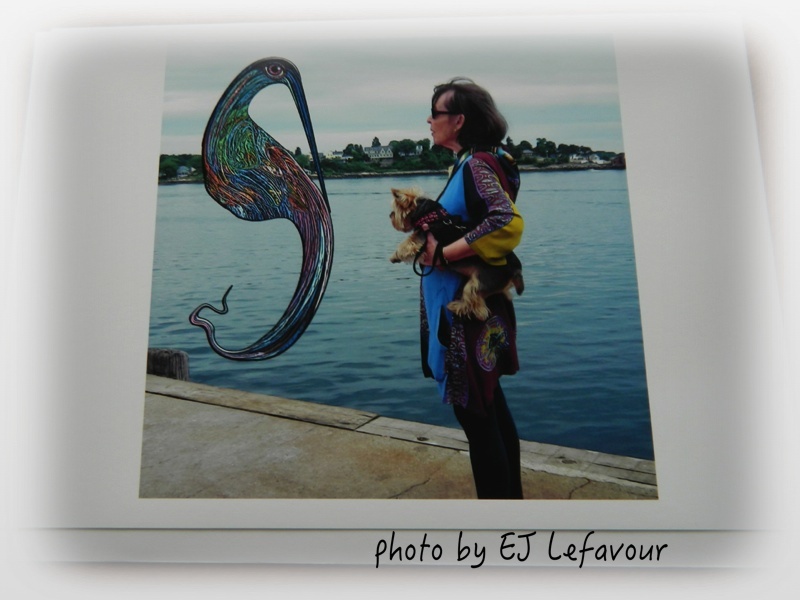 A different type of 'Critter' on Cape Ann MA ~ Moonlonz ~ visiting with me and ArtMuseDog. This 'critter' is from a book written by a friend EJ Lefavour ~ check it out. 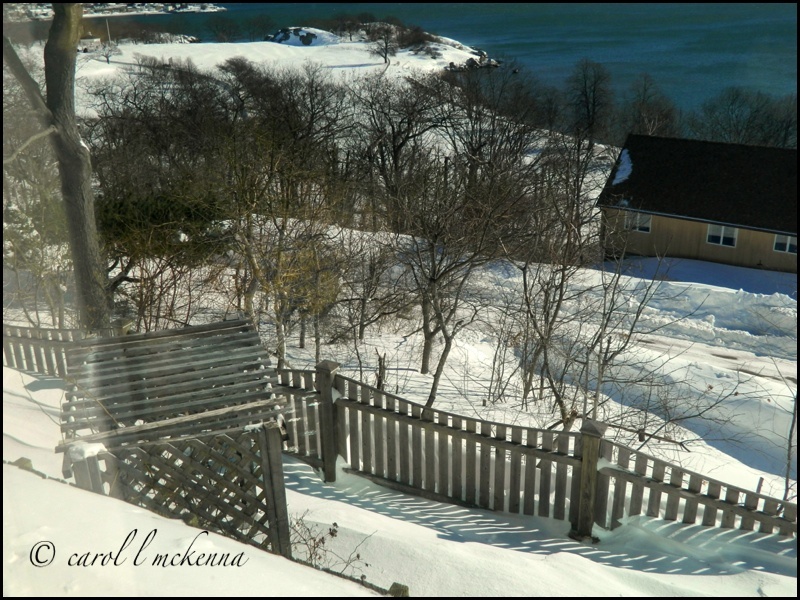 Winter Shadows and Cape Ann MA chill and delight. Your posted comments are warming us this winter. thanks. I have just completed my 18km run. Running is another good medicine. I would like to invite your assistant to run together. What a cute dog. 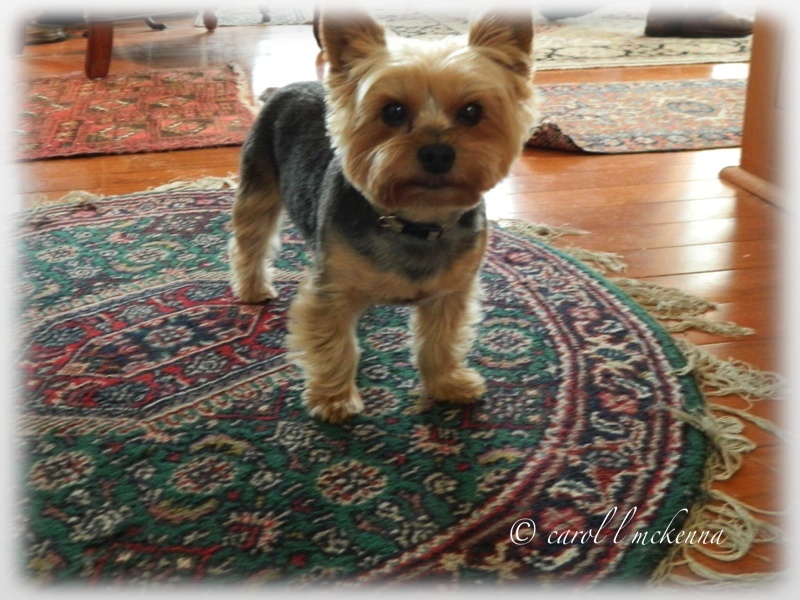 Such a great post --- love your cute little Muse Dog! And oh my -- that snow ---! Love the response to lonely, too --- my heart goes out to the New Englanders buried in snow!!!! We once had to hire a bobcat so that we could get out of our cup-de-sac. Stay warm! Fantastic quote. We are designed to walk but most of us don't like to walk even short distances. We would prefer to use some sort of transport instead of walking. For most sicknesses doctors prescribe walking. In other words only when we are sick we start walking because of compulsion. Many sicknesses can be avoided by walking on a regular basis. I am amazed to see heaps of snow. Soon spring season will come like a thief when least expected and transport every one to joy and happiness. Beautiful greenery and colorful flowers are just around the corner. I like what you did with the picture of the dove. The border and the black and white give it a dreamy quality. The dove shot is really lovely. I love the focus on it. Love your haiku......so spot on! Great styling........how does she find the experience? Doves tend to look so sad on their own. A great post but the clipped dog take the biscuit! Love the snow shots also. Have a lovely weekend. Hello Carol, I love seeing your cute Art Muse. 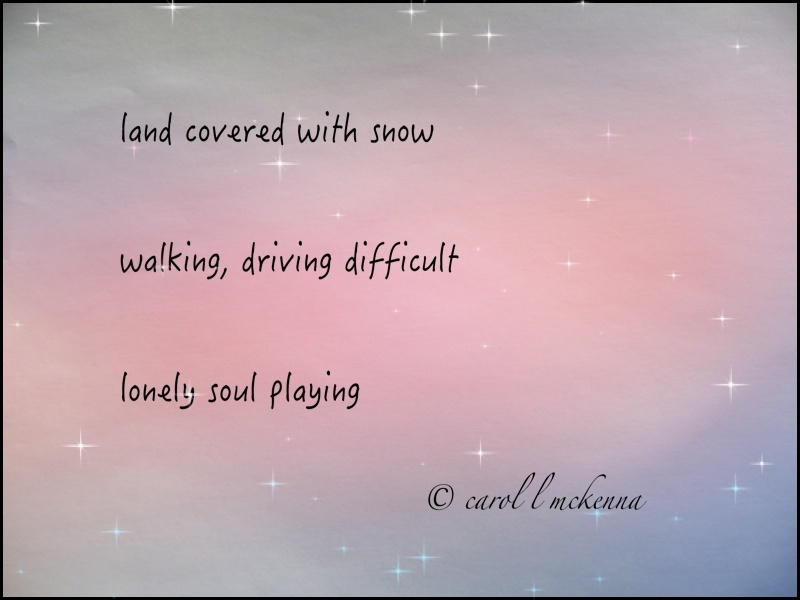 Pretty images and a lovely haiku! I hope you are safe and warm there. Thank you for linking up and sharing your post. Have a happy weekend! Carol, great pictures this morning, and Muse dog looks stunning with the new do. The snow picture with the bobcat gives us a real feel for how much snow is there! I would so love a Bobcat!!!! bobcat - glad you could find one to hire! That's nice to visit your blog ! Lovely photos ! I love your cute assistant! Glad you could get a bobcat to clear the road. Stay warm! Aww - Muse dog is adorable! Love the new "do" and the photos and poetry and quotes. Oh my goodness! How awful to have to hire a Bobcat so you could get the fuel you need to keep your home cozy! That critter looks amazing. I'm glad you were holding your muse to keep her safe. I read that Hippocrates quote and thought why am I sitting here blogging when I should be walking! Look at all that snow! I can't imagine. Lovely photos and cute pup! Thanks for stopping by my blog, Carol. You may have to buy a bobcat if it doesn't stop snowing. Your puppy is adorable!! Artmuse Dog is always adorable and your snow is so pretty. You've certainly had your share of snow and cold, but we're supposed to get 1 to 2 feet this weekend! 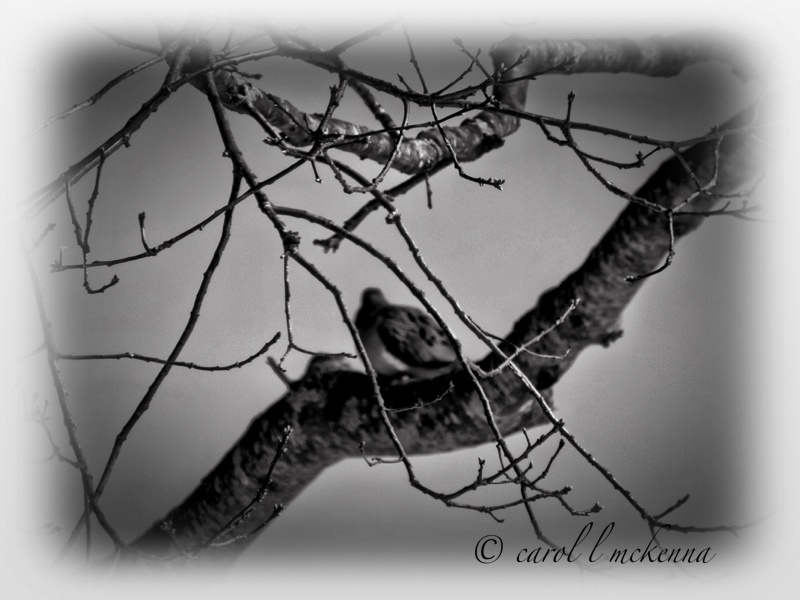 As always a beautiful post Carol, I like those photos and your haiku is a little gem. I like it all. Love that header photo and all the snow photos. She does look so cute, I think Muse Dog knows she is very adorable. I did my walk this morning before the blogging. Glad I'm not trying to walk through all that snow Carol. I'm impressed you drove that Bobcat through that deep snow - needs must? Shadows on snow are always lovely. The snow? Maybe not so much! Beautiful winter scenes. Muse Dog looks adorable. Does she like the snow? I can't believe you had to hire a bobcat-that is SOME snow you keep getting! We just got more yesterday (Sat.) about 4 inches but now today the sun is shining and actually in the upper 30's so it's melting. Amuse dog looks great with the grooming but I think he needs a sweater now:) Lovley photos and haiku. That critter in the one photo looks like a stained glass piece-very cool! Hope you have a great week-without snow! Wow, sorry you are having such a hard winter. Hiring a bobcat is some expense but you do need fuel oil. Great poem and pics and a rare pic of you!